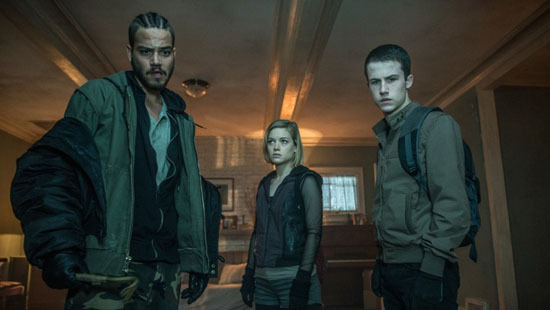 Rocky (Jane Levy), Alex (Dylan Minnette) and Money (Daniel Zovatto) are three Detroit thieves who get their kicks by breaking into the houses of wealthy people. Money gets word about a blind veteran who won a major cash settlement following the death of his only child. Figuring he's an easy target, the trio invades the man's secluded home in an abandoned neighborhood. Finding themselves trapped inside, the young intruders must fight for their lives after making a shocking discovery about their supposedly helpless victim. They’re able to bypass the targets’ security system because Alex's father works for the security system company that "protects" the houses. He's pretty reluctant to join in the robbery, but he eventually gave in for he has feelings towards Rocky, who is dying to get his sister out of her wretched home. 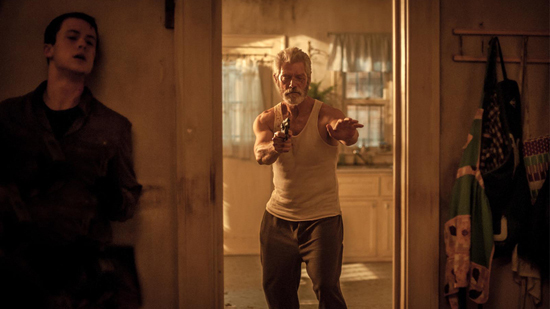 But things almost immediately went south when the resident - The Blind Man (Stephen Lang) appears far from helpless. I mean they were at fault anyway right? Who robs a blind man?! So, their punishment was to be "hunted" down by the blind man. The constant tension and challenges placed before the trio and the need to be ultra silent for fear that the blind man might hear, had me holding my breath alongside the trio. The line between protagonist and antagonist seemed to blur in this cat and mouse game around the labyrinth style home. The ending does sound a little absurd and unexpected but overall, I like how simple the storyline was and all it took was a robbery to send shivers down my spine. 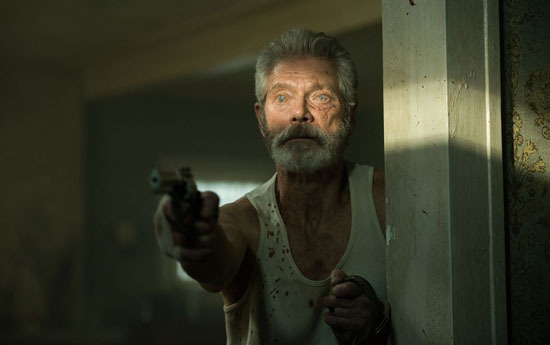 Don’t miss ‪#‎DontBreathe‬ in theaters August 26.